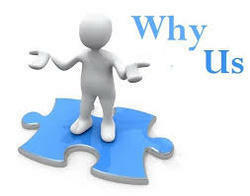 Salveo Lifecare - Why Us? Besides the products of world class quality at most competitive rates, We offer annual incentives in the form of international trip / laptop etc on achieving predetermined and mutually agreed objective. Free Inputs: Visual aids, Working bags with company logo, Sample catch covers, Visiting cards, Product reminder cards, Glossary, Stickers, MR reporting stationary viz. Daily Reports, Order books, Stock & Sale Statements, Expense statements etc., Gift articles, Calendars on new year, Chemist order books etc. Annual Incentive: Free Laptop - on completing sale of 5 lacs in first 6 months of starting the business with us. One international ticket for doing 7 lacs in subsequent 6 months. This means if you achieve a sale of 12 lacs in 12 months - you are given 1 laptop worth 25000 and one international trip as incentive.